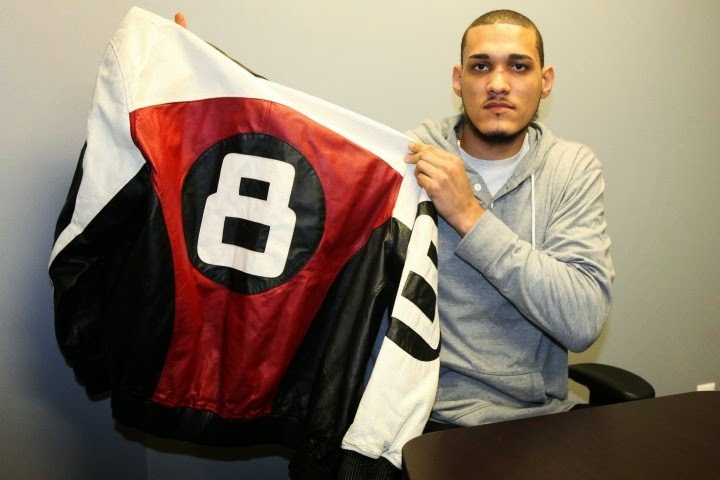 First, he was cleared by the DA — and now he wants to be cleared by the fashion police. 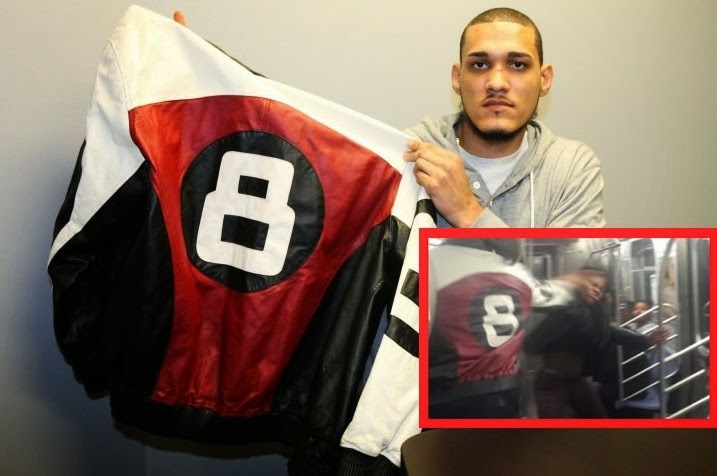 The man who was attacked on an F train by women who mocked his 1980s-style 8-ball jacket will not be charged with assault for hitting one of them because he acted in self-defense, the Manhattan District Attorney’s Office said on Wednesday. Jorge Peña, 25, hailed the news that he’s been cleared criminally. He also insisted that he was in the right from a fashion perspective. Peña — a former pro baseball prospect — was riding the train home from work Friday night when a pack of wild women started mocking his clothes and then one pulled off her stiletto boot and hit him in the head. “I never slapped anyone before. Especially a girl,” said the 6-foot-6 Peña. “But when I saw that blood, I couldn’t take it. The woman who allegedly hit Peña with her stiletto boot, Danay Howard, 21, and Shanique Campbell, 20, who clobbered Peña with her purse, were charged with felony assault. On the YouTube video, they are seen mocking Peña and knocking the phone from the hand of the person filming them before Howard attacks Peña and he responds by slapping her. 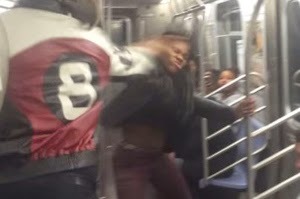 The video of the subway incident has racked up more than 4 million views since it was posted Sunday. “Thank God for smartphones,” said defense attorney Cary London, of the law firm London Indusi. Peña plans to sue the city over his four days spent in jail after his arrest, said London. A DA spokesperson confirmed that the charges against Peña were dropped once it was clear he had acted in self-defense. Peña came to the US from the Dominican Republic and was a right-handed pitcher for an Oakland A’s minor-league farm team until injuries forced him to end his dream of reaching the big leagues in 2010.